Dried leaves chattered amongst nearly bare trees, and the warm rays of the golden Texas sunset danced through Red Molly's fluffy winter coat as she walked the gravel road with her favorite girl. Though she'd traded her barn clothes for cozy sweaters and trendy boots, Blanche was still perfectly at home alongside Molly. 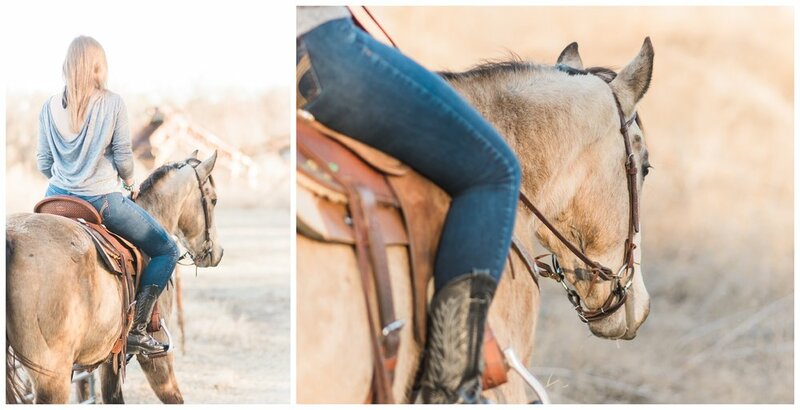 Partners for years, the duo had mastered the cloverleaf and chased down big dreams together, and Blanche's eyes shined with love as she laughed and snuggled with her spunky mare. Recent health troubles mean Red Molly isn't running much these days; she's passing the torch to Winchester, Blanche's young barrel prospect whose bloodlines and keen mind are early indicators of the bright things ahead of him. An old soul with kind eyes and a soft nose, Winchester is steadily growing into his potential. Blanche is dreaming big with him, investing in Winchester's future with patience and high hopes. 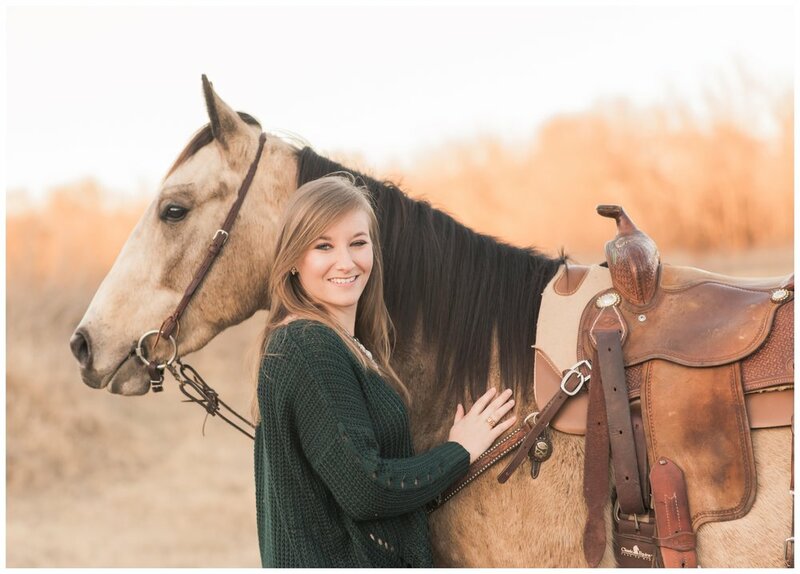 A writer who lives and breathes barrel racing, Blanche dives headfirst into her passion as an editor at Barrel Horse News while also working toward her own goals on horseback. Winchester is also Blanche's first prospect project, and she's determined to DIY his training, leveraging resources and tips she's picked up while interviewing experts. 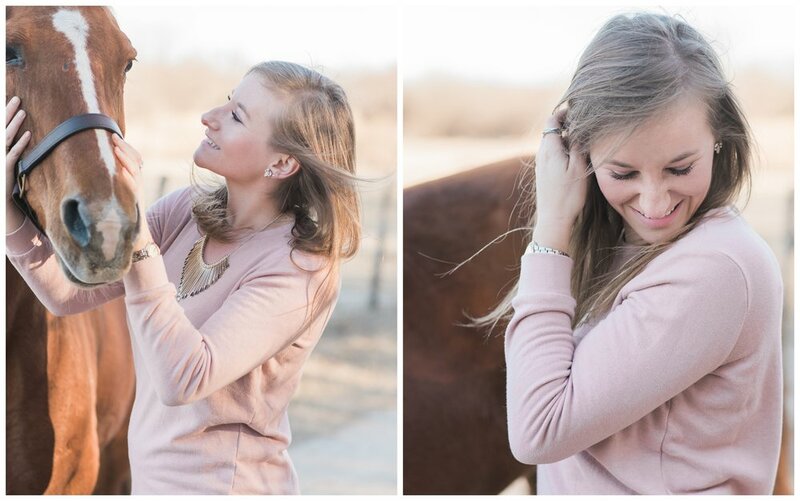 She's detailing their journey on a blog for BHN, and her sharp humor makes following along with her progress so much fun—give it a read sometime! Less than a week after our session, Blanche received heart-wrenching news about Red Molly's health—kissing spine. Though she'll likely never run again, Molly will live out her retirement days in comfort with Blanche's parents in South Texas. We didn't know it at the time, but I can't help but look at this session now as a celebration of dreams and of partnerships, the past and the future. 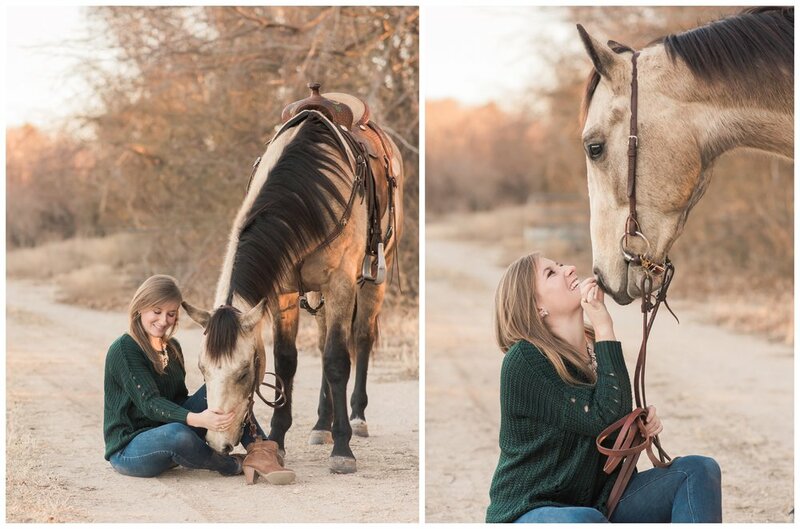 Most of all, of the deep, undying love shared between a girl and her horses. 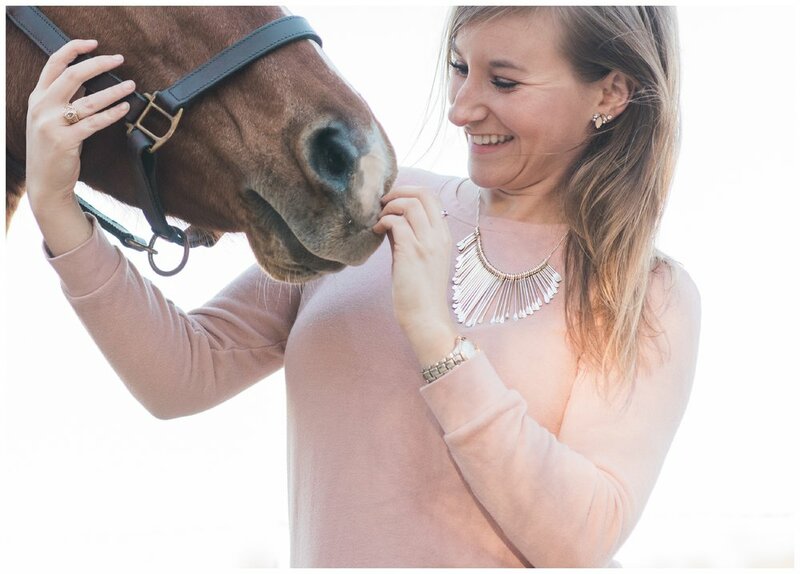 The relationship you share with your horse is special, irreplaceable, can't-live-withoutable...make time to celebrate it. Contact me to start planning your own special session today.